MOSCOW – Russian state firm Russian Technologies has suspended talks with Renault SA and Nissan Motor Co. over future control of AvtoVAZ following the recent earthquake in Japan. "The talks are suspended for now due to events in Japan," Russian Technologies head Sergei Chemezov told Reuters. Renault already has a 25 percent stake in Lada maker AvtoVAZ, and the French company has said the alliance may increase its stake to over 50 percent with Nissan over time. Nissan had been talking with AvtoVAZ shareholders, Russian Technologies Corp. and Troika Dialog, about acquiring an additional stake in AvtoVAZ over several years. Troika and Russian Technologies each own 25 percent of AvtoVAZ. "It may be a signal that the production focus of AvtoVAZ may change to an equal presence of Renault and Nissan models on the conveyer belt," said Elena Sakhnova, an analyst VTB Capital in Moscow. "Before this, it seemed that AvtoVAZ was focused on Renault." Nissan is likely to pay a figure close to the market price for a 25 percent stake, currently 10.1 billion rubles ($350 million), Sakhnova said. Carlos Ghosn's Renault-Nissan alliance had been moving to take a majority stake in Togliatti-based AvtoVAZ after Renault's $1 billion purchase of a 25 percent stake in 2008. Ghosn, who is CEO of both Renault and Nissan, said in November that the alliance will seek control of the Russian company. Chemezov announced in November that Nissan was in talks to buy a 10 percent stake in AvtoVAZ. Troika may eventually sell all of its holding, while Russian Technologies plans to buy new stock in AvtoVAZ to keep its stake at 25 percent, he said at the time. As the western European car market braces for another year of shrinkage, manufacturers are seeking partnerships in Russia. Passenger-car sales may reach 3 million by 2014 to surpass Germany as Europe's biggest auto market, Alexey Rakhmanov, head of the ministry's automotive department, said last month. Renault is upgrading AvtoVAZ's sprawling plant in Togliatti to assemble models for all three carmakers. 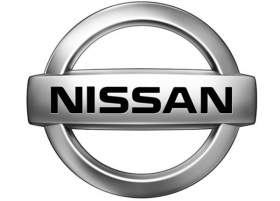 Renault also owns 43 percent of Yokohama-based Nissan.